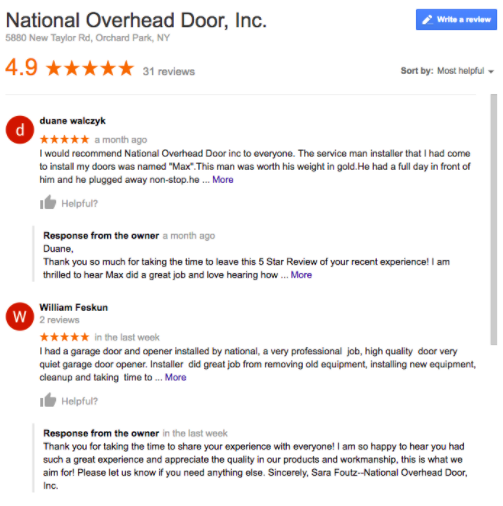 National Overhead Door, a garage door installation company local to the Western New York area, has proudly been serving customers more local and nationally for over 60 years. As a part of an on-call service industry, National Overhead Door needed to make the jump and differentiate themselves from competitors both by demonstrating their quality but also their reliability. Sara’s goal was to ultimately represent National Overhead Door’s reputation accurately online, which is why she elected to work with RepCheckup as one of our foundational clients. We understand that National Overhead Door has a long list of happy customers that they’ve accumulated throughout their years in service. The problem was that their old methods of soliciting reviews wasn’t converting in a way that was useful to them, as feedback on paper is good but ultimately not helpful in the digital sphere. After setting Sara and National Overhead Door up with our tool, Sara was able to use the dashboard to monitor and respond to reviews as well as send out daily text messages to new customers that asked about their experience and directed them to a review website of Sara’s choosing. 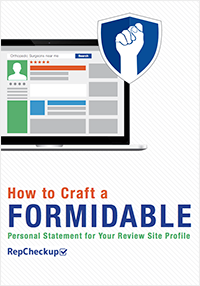 In fact, Sara began to see results right away: “now, everytime I send out a batch I get back at least 2-3 reviews as a result,” she explained happily. National Overhead Door started off with 4 or 5 reviews on Google, leaving the company susceptible to the damage a negative review could cause. Within 6-8 months of using the RepCheckup tool, National Overhead Door received over 30 reviews. The best part? They’re all five stars.